I've been learning something new! I'm back. It's been a long time but I've been very busy though. I've been teaching myself to sew better. And I think I've done ok but I'm still a beginner. Craftsy has been extremely helpful and I have discovered DOZENS of wonderful blogs about sewing, quilting and embroidery. Voltei. Faz um tempão mas é que andei ocupada, tentando aprender a costurar direito. Acho que estou num nível razoável mas ainda super iniciante. Achei o craftsy super útil e andei achando dezenas de blogs maravilhosos sobre costura, bordados e quilting. This is my first ever bag. It's quite tiny and cute. But it's been very handy to take shopping. I tend to take it with my wallet and phone in it. It makes it easier to find them quickly and if I'm driving I dump my car keys in there too. And there's lots of room left to put some shopping in - I generally use it for small or delicate items. Essa foi a primeira sacola que eu fiz. Ela é tão pequena e bonitinha. Super conveniente pra levar quando eu vou às compras. Geralmente coloco o celular e a carteira dentro dela e - quando de carro, as chaves. E ainda sobra espaço pra colocar umas comprinhas. The pattern is courtesy of this post on the Happy Zombie blog. I also made a couple of other bags but they've been given to their recipients and I didn't get a picture of them. I'll be better next time. A receita que eu usei foi esse post no blog Happy Zombie. Também fiz outras duas sacolas diferentes mas elas já foram entregues às recipentes e eu acabei esquecendo de tirar fotos. Oops! As you can probably tell from the photo above I also decided I'd like to have a go at embroidery. My fear, however, was enormous for some absurd reason. 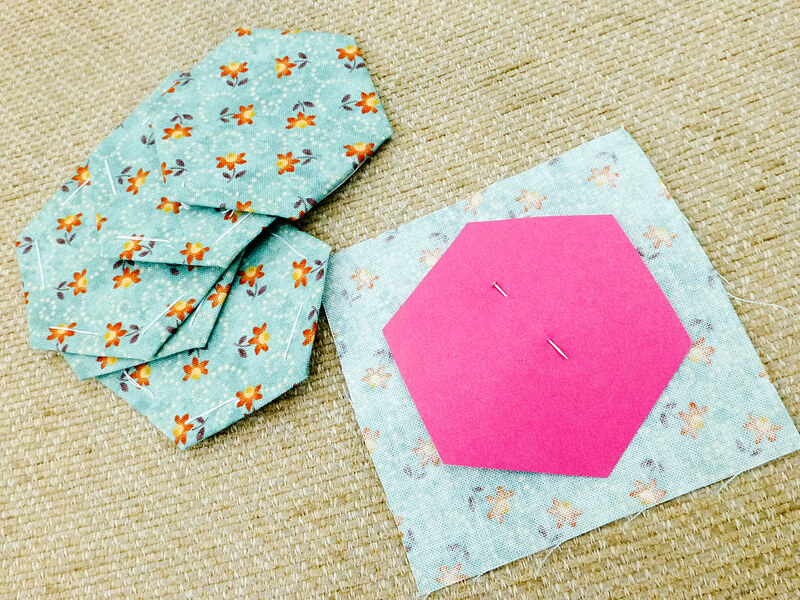 But serendipity is a wonderful thing and one fine day after I thought I'd like to try it, my blog reader delivered me a post from Wild Olive launching subscriptions for her Summer Stitching Club. Don't mind if I do! Também andei pensando em aprender a bordar. Mas o medo era enorme, sabe-se lá porque. 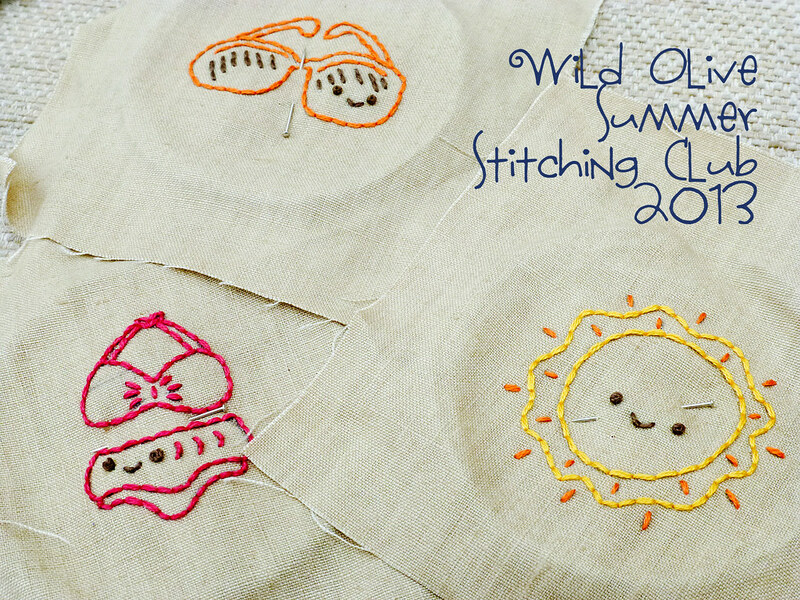 Como coincidência e destino andam sempre juntos, logo depois de resolver que eu gostaria de tentar aprender, meu feed de notícias me entrega um artigo da Wild Olive anunciando o Summer Stitching Club. 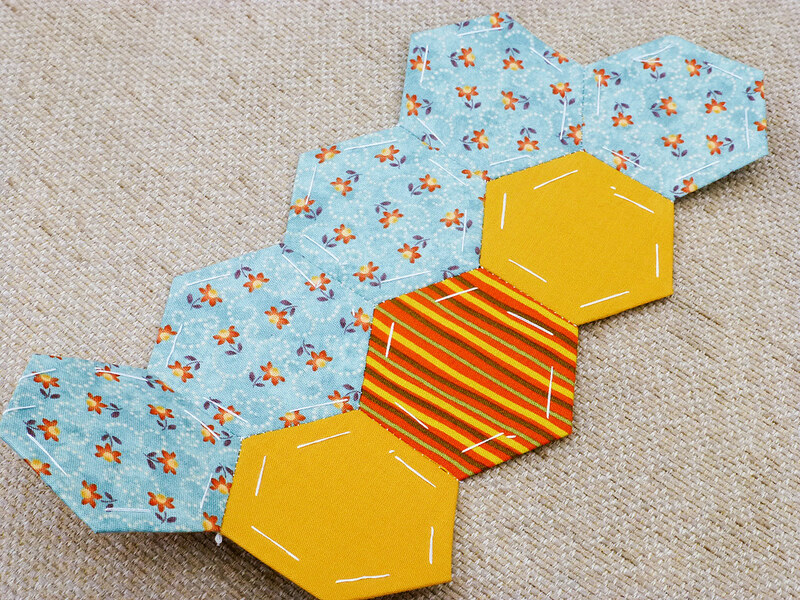 The best thing about it is that not only is it comprised of lots of tiny little embroidery motifs that don't scare me, but it will end up being a sort of mini hexagon quilt at the end. Two birds, one stone - not that I'd ever do that! 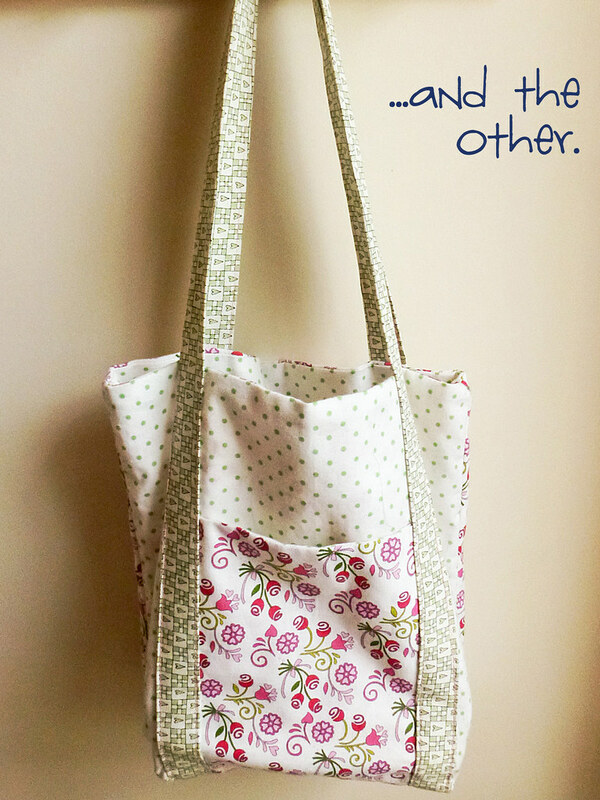 Two crafts, one project. Yes, that's better. O que eu achei ótimo é que não só os motivos são simples e não me enchem de pavor mas também vou acabar aprendendo a fazer uma mini quilt (edredon, acolchoado, colcha) de hexágonos. Dois projetos em um. I'm not sure yet what I'll do with the finished mini quilt but I'm pretty convinced that "it wants to be" a cushion. We'll have to see. 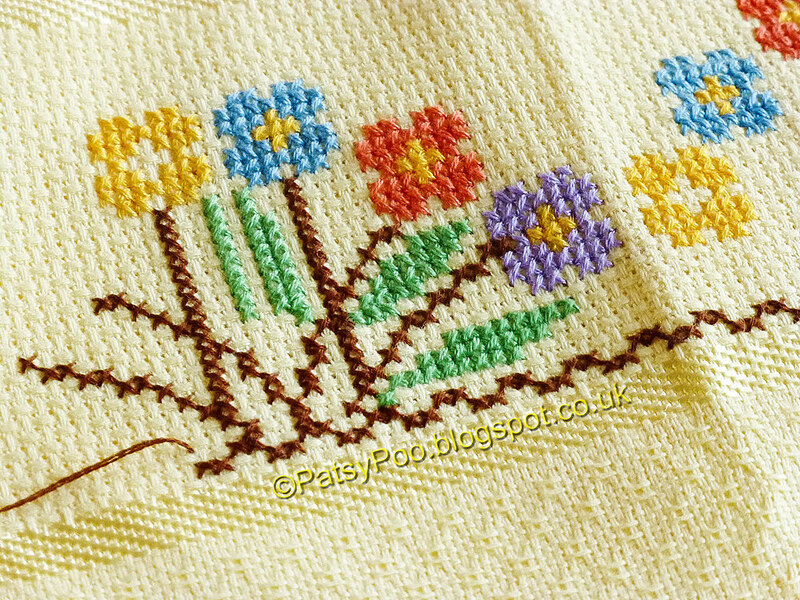 The great thing about all this is that I've unearthed some cross stitching supplies and got back into it this week. I did some many years ago in my early 20s but ended up forgetting about it once we moved into our house. Ainda não tenho certeza o que será da minha colchinha mas estou quase convencida de que "ela quer ser" uma almofada. Veremos. Outro ponto positivo disso tudo é que acabei desenterrando umas tralhas de fazer ponto cruz e comecei a fazer de novo. Aprendi no começo da minha última década mas deixei de lado quando mudamos para a nossa casa. E a ousadia só aumenta por essas bandas... Olha só o que mais eu ando fazendo.